How do you complete the A Ripple in Time Special Research in Pokémon Go and get Celebi as fast as possible? Like this! Celebi is the Mythical Pokémon of Generation 2, first discovered in the Johto Region. Like the Generation 1 Mythical, Mew, encountering Celebi requires you to complete Special Research. 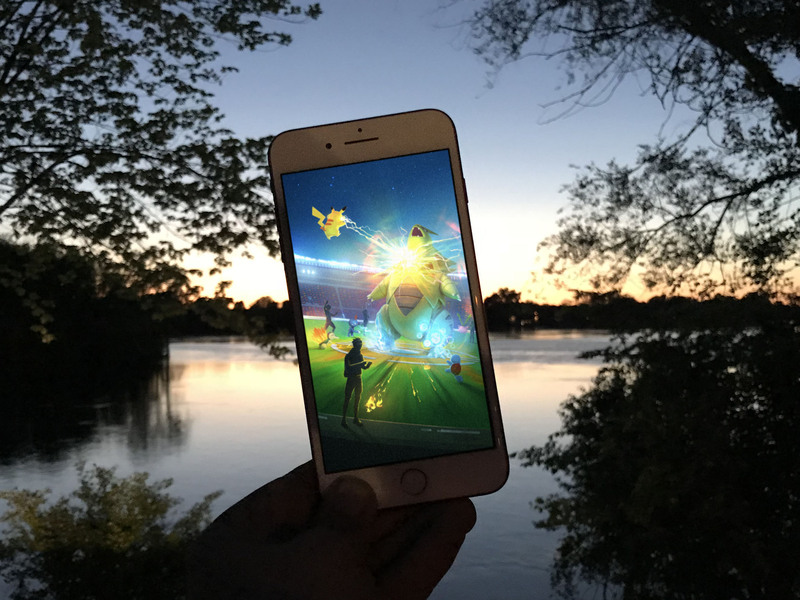 In Pokémon Go, that's so far been limited to Pokémon Go Fest Chicago 2018, but it won't be long before Celebi is available to quest for around the world. August 20, 2018: Celebi Special Research returns for everyone! If you weren't at Pokémon Go Fest, your long Celebi wait is over! Professor Willow needs your help once again! It seems he's been tracking the Mythical Pokémon Celebi, which has mysteriously appeared somewhere nearby. Can you help him locate the Time Travel Pokémon? Prepare yourself for August 20, when this Special Research becomes available worldwide! Along the way to discovering Celebi's time-shifting nature, you'll encounter tasks that will test your skills as a Trainer. Complete tasks to gain XP, receive useful items, and even encounter certain Pokémon on your journey! You can begin completing Special Research on Celebi at any time as long as you have done the third group of tasks related to the Special Research on Mew, and actively finish tasks related to both at your own pace! How do you finish the A Ripple in Time Special Research and get Celebi fast? A Ripple in Time consists of eight sections with three tasks each. This one is easy. If you're Stardust starved and have a Lucky Pokémon, power one up to save half the dust. If you just want it done, power up something with very low requirements, like a CP 10 common Pokément. If you want to get value from your power-ups, stick to Machamp, Kyogre, and Groudon this month. For the Gym, pick any Gym from any team that's not yours and has more than 2 Pokémon on it. Then battle two Pokémon. Easy peasy. For the Raid, if you belong to a Raid group or can find one on Facebook, WhatsApp, Discord, etc. in your area, just jump on the next available Raid. Otherwise, look for a Tier 1 or Tier 2 Raid in your area that you can do by yourself. Here's where it can start getting a little confusing or annoying. Third-stage evolutions typically require 100 Candy. If you don't have enough, go out and catch as many as you can with Pinap Berries, then trade them for additional Candy until you hit the amount you need. Alternatively, you can spend Rare Candy if you have it, but it's better not to. You may need that for more challenging tasks, or elusive Pokémon later. Catch a Pokémon 3 Days in a Row is simply a stalling tactic. It prevents people, including spoofers, from racing through the quest in a few hours. It doesn't matter which Pokémon you catch, and you can catch the same or different pokémon each day, you simply have to catch 3 Pokémon over the course of 3 days. If you're already level 25 or over, you'll automatically complete the first part. Otherwise, you'll want to use some Lucky Eggs and do back-to-back Legendary Raids (20K XP each). If you're close to any Great or Ultra Friends, get those with the Lucky Egg as well for 20K XP and 100K XP each. You can find more tricks in our how to get the most XP and level up fast guide. Hatching 9 Eggs simply means spinning Poké Stops or opening Gifts until you fill up your Egg Storage, putting them all in Super Incubators, and walking until the 9th one hatches. If get 2KM eggs, that won't take long. 7KM and 10KM, obviously, will take longer. So will using standard Incubators or only walking one at a time. You'll need to decide if time is more valuable to you than Poké Coins for the Incubators. Reward: Pokémon Encounter, King's Rock (DON'T USE IT, SAVE IT FOR SUBSEQUENT TASKS), Raid Pass. Switch your Buddy to Eevee (if you don't have a good Espeon yet or a Shiny one, make sure you pick appropriately) and get walking as soon as this task becomes available to you. (If you walked that Eevee previously, it won't count towards this goal — new walking distance only.) Usually, you need 10KM and 2 (two) Candy, so make sure you get both. Once you're done, make sure it's daytime in the game and hit evolve to get Espeon. Once you're done, make sure it's nighttime in the game and hit evolve to get Umbreon. Waiting 3 days wasn't enough for you? How about 7 days? Sigh. That's what it'll take to spin 7 PokéStops in 7 Days to complete this task. And, to make things worse, if you miss a day, you'll have to start over. Double sigh. 25 Pokémon with Pinap Berries is just a grind. Get through it. Use Ultra Balls if you have them so you don't waste your time with escapes and flees. Sun Stone: Evolves Gloom into Bellossum and Sunkern into Sunflora. To make an excellent curveball throw, look for a Pokémon with a really large target area, like any Legendary Raid Boss, or a wild encounter with the likes of Wailer. Use regular Poké Balls, so you'll get repeated chances if they break out, and then just take your time. Touch and hold the Poké Ball until the target circle shrinks down to Excellent size. Wait until the Pokémon starts to attack. Spin the Poké Ball so you can curve it. As the Pokémon gets to about 3/4 through its attack, throw the curve ball as close to dead center as you can. The target circle will remain the same size you set, so if you hit it correctly, you'll score the Excellent throw and associated bonus. To get your Johto medal, you need to catch 70 different Gen 2 Pokémon originally discovered in the Johto region. What happens if you already got Celebi at Pokémon Go Fest Chicago 2018 back in July? A re-roll might have been nicer for those with relatively low stat Celebi but Candy is still Candy. Celebi is the Mythical Pokémon from Generation 2, like Mew — the subject of the previous Special Research Quest — was the Mythical Pokémon of Generation 1. How did you catch Mew at Pokémon Go Fest Chicago 2018? Spin 3 PokeStops or Gyms: 500 XP. Earn 1 Candy Walking your Buddy: 500 XP. Catch 15 Pokemon: 500 XP. Bonus: 1000 Stardust, 50 Poké Balls, 3 Incense. Best place to do this was right at the entrances and around the team lounges. Catch 10 Fire-type Pokémon: Torkoal. Catch 10 Water-type Pokémon: Ludiculo. Catch 10 Grass-type Pokémon: Shiftry. Catch 10 Steel-type Pokémon: Metagross. Catch 10 Rock-type Pokémon. Aggron. Catch 10 Ice-type Pokémon. Walrein. Bonus: 2000 Stardust, 20 Ultra Balls, 3 Super Incubators. The "Walk Through the Park" aspect of Go Fest was ideally suited to completing these quests, since each environment had several of the necessary types, along with some dual-types that were particularly efficient. Catch 7 Unown: 1500 XP. Spin 3 Pokestops or Gyms: 1500 XP. Hatch 3 eggs. 1500 XP. Bonus: 3000 Stardust, 10 Golden Razz Berries. The entrance and team lounge areas are the best places to find Unown and spin stops. Same deal as Mew, but there's no invisibility to deal with. So, you are in AR mode, and you do have to hit it three times, but you can see Celebi the whole time. Bonus: 4000 Stardust, 10 Pinap Berries, 20 Celebi Candies. Depending on when you needed to complete this part, it could be super easy or super frustrating. The most reliable place to get tons of Plusle and at least a few Minun at a time was the Benjamin Franklin statue near South Entrance. Make sure you crack and Egg and drop a Star Piece before doing this one. Bonus: 5000 Stardust, 3 Premium Raid Passes, 3 Lucky Eggs. Celebi is a Psychic- Grass-type Pokémon that has tons of potential... but lacks the moveset pool to really make a dent. Confusion, which gets STAB (same type attack bonus) is better than charge beam as a fast move. Dazzling Gleam, a Fairy-type move, out scores both Psychic and the plodding cannon that is Hyper Beam, even with Psychic's STAB. Can you quest for Celebi more than once? Not so far. Like Mew, once you finish your quest, you get your Celebi, and that's it. Which is frustrating when its stats are... less than stellar. Any Celebi or Mythical Discovery Field Research questions? If you have any questions about completing the Mythical Special Research quest or catching Celebi in Pokémon Go, drop them in the comments below!